"Altered NRG1-erbB4 signaling may contribute to NMDA receptor hypofunction in schizophrenia." By University of Pennsylvania School of Medicine, Researchers at the University of Pennsylvania School of Medicine, in collaboration with scientists at the City University of New York, have identified a striking dysregulation in neuronal receptor activity in the postmortem brain tissue from patients with schizophrenia. By stimulating receptors in the prefrontal cortex, the research team tracked heightened levels of erbB4 receptor activity, as well as decreased NMDA receptor activity in the tissue from patients with schizophrenia. Additionally, they were able to identify a relationship between these two receptor groups, suggesting a mechanism for decreased NMDA receptor function that has long been suspected in schizophrenia. Schizophrenia, a mental disorder afflicting approximately one percent of the world population, is characterized by a variety of symptoms such as: hallucinations, paranoia, disorganized behavior and the inability to experience pleasure. Previous studies of the brains of patients with schizophrenia suggest altered function in the prefrontal cortex, the brain's organizational center for cognitive function, personality expression, and behavioral control. International, large-scale genetic studies of patients with schizophrenia have pointed researchers to a gene called neuregulin 1 (NRG1), which appears to play a role in determining one's susceptibility to the disease. Chang-Gyu Hahn, M.D., Ph.D., Assistant Professor of Psychiatry, Steven Arnold, M.D., Associate Professor of Psychiatry and Neurology, and Raquel Gur, M.D., Ph.D., Professor of Psychiatry, and colleagues at Penn, in collaboration with Hoau-Yan Wang, Ph.D., at The City University of New York, took an approach to use NRG1 protein to activate its neuronal receptor, erbB4, to measure the molecular response in postmortem brain tissue. The binding of NRG1 to erbB4 stimulates neuronal receptor activity by adding phosphate molecules to the site of the receptor. The activation of erbB4, in turn, kicks off a cascade of molecular events within the neuron. When comparing the initial steps of neurochemical activity in postmortem brain tissue of mentally healthy patients to those with schizophrenia, the researchers discovered that NRG1-erbB4 activity was significantly greater in the brains of patients with schizophrenia. Hahn and colleagues also studied a second neuron receptor called NMDA, which receives input from the neurotransmitter glutamate. Previous studies at other labs have demonstrated the relationship between erbB4 and NMDA receptor activity and have led researchers to believe that enhanced activity of erbB4 receptors results in a decrease in NMDA receptor activity. Low levels of NMDA receptor activity are believed to contribute to symptoms of schizophrenia. By stimulating NMDA receptors with glutamate, and measuring the subsequent changes in phosphorylation at the receptor, Penn scientists were able to track an impairment in NMDA receptor activation in the postmortem brain tissue from patients with schizophrenia. "The fact that our studies of the brains of patients with schizophrenia demonstrate both erbB4 receptor overactivity as well as NMDA underactivity suggests the existence of a relationship between these two receptor groups," explains Hahn. "Altered NRG1-erbB4 signaling may contribute to NMDA receptor hypofunction in schizophrenia." This finding is the first to display NMDA receptor hypofunction in the brains of patients with schizophrenia. ErbB4 and NMDA receptors are located at the post-synaptic junction, or the chemical receiving end of the neuron. Both, erbB4 and NMDA receptors, are bound to scaffolding proteins called post-synaptic density (PSD), which can bridge receptor groups together and enhance their interactions. "PSD proteins can act like a raft in the ocean," explains Hahn. "Just as holding onto a raft increases one's chance of survival, by binding onto PSD proteins, NMDA and erbB4 receptors can enhance their activity." Hahn hypothesizes that schizophrenia may be, in part, caused by the convergence of multiple factors (both genetic and epigenetic) at the PSD, which, in turn, alters the interaction of the molecules in the cellular environment, resulting in the symptoms of schizophrenia. In a continued attempt to understand the differences between the brains of mentally healthy patients and those with schizophrenia, future studies by the research team at Penn will focus on identifying differences in interactive dynamics of proteins in the PSD. The postmortem brain stimulation method, established in this study, breaks out of the boundaries of previous research using postmortem brain tissue. 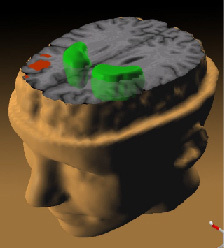 Postmortem studies have historically focused on snapshot analyses of the brain at the time of death. This new method allows investigation of functional responses of brain tissue to stimulation. "Our hope is that this study will shift our postmortem methodologies from limited comparative studies to a more experimental approach," explains Arnold. "This will allow us to tease apart the molecular complexities that contribute to mental illnesses such as schizophrenia." - The researchers report their findings in this week's advanced online issue of Nature Medicine. Study co-authors are Dan-Sung Cho, Konrad Talbot, Wade H. Berrettini, Joshua Kamins, Karin E. Borgmann-Winter and Steven J. Siegel, all from Penn, as well as Kalindi Bakshi, from The City University of New York Medical School and Robert J. Gallop, from West Chester University. This research was funded in part by the National Institutes of Health and the Stanley Research Foundation. PENN Medicine is a $2.9 billion enterprise dedicated to the related missions of medical education, biomedical research and high-quality patient care. PENN Medicine consists of the University of Pennsylvania School of Medicine (founded in 1765 as the nation's first medical school) and the University of Pennsylvania Health System.